Catelyn is a 7th grader at Cherokee Middle School. She attended Cherokee for 6th grade as well. 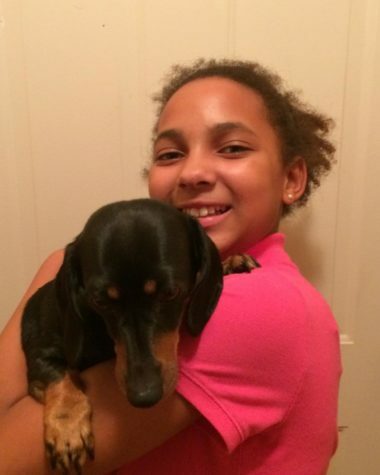 Catelyn is a 12-year-old girl with a love for Dachshunds. She loves to draw. Catelyn plays basketball. She currently has one loving dog at home named Cupcake. Catelyn's dog is 4 years old. Catelyn is a social butterfly. She usually has a jam-packed weekend. She's a bundle of energy and even after doing something for hours, she will want to do something else. She also likes to write.